Pilots at ATP’s recruiting partner Piedmont Airlines, a wholly-owned subsidiary of the new American Airlines Group (AAG), have approved a tentative agreement. 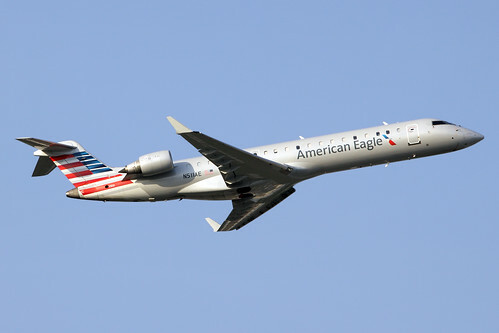 This agreement includes plans to refleet the airline with regional jets as well as guarantee opportunities for Piedmont pilots with the airline’s parent company, American Airlines. Today Piedmont Airlines fleet consists of forty four de Havilland Canada Dash 8’s. Here’s an excerpt from the letter Piedmont president and CEO Steve Farrow wrote to Piedmont employees. I am very pleased to report our pilots have ratified the tentative agreement we reached with the Air Line Pilots Association (ALPA) with a decisive 77 percent of the vote. As you know, this agreement, which will now become part of our Collective Bargaining Agreement with ALPA, significantly broadens our options for re-fleeting Piedmont Airlines and positions our company for future success in a highly competitive industry. With this foundation, we are beginning the process of preparing Piedmont for re-fleeting with regional jets. We have already started working with a consultant to add RJs to our certificate. I will share more information on the process in the weeks and months to come. Piedmont’s expansion will create new flying jobs that have to be filled in order for them to operate their new aircraft. Piedmont has teamed with ATP for many years to recruit our exceptionally well-trained and highly-qualified graduates and ATP will be sending many more pilots to fly the most advanced new jets. These pilots are are beginning new lucrative airline pilot careers that are waiting for those who begin training now. Over 450 new airline pilots hired in the last year began their career by training with ATP. Many of those same pilots are being informed that they will be upgrading to Captain in the near future at their airlines. This proves what we have been saying for close to thirty years – In the airlines seniority means everything. Get there first with ATP.